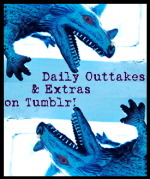 A tiny pamphlet educating about eating disorders, celebrating ocean life, and encouraging creative art and action. A silly joke that should be taken way too far, past political correctness and copywrite rights, in so many directions and into so many dimensions. A mirror held to western culture and an opportunity to challenge it, to change it—through oneself, one self at a time. Hand-coloured and mass-distributed for free through libraries, universities, new & used bookstores, coffee and record shops, fair-trade stores, tattoo parlours, and midnight movie screenings; guerrilla-distributed through menus, newspaper stands, grocery stores, walk-in clinics, airports—swiftly hiding one in your purse or unattended notebook, leaving a few behind with your tip, tucking one under your windshield wiper—anywhere and to anyone that needs one, the strangers I won’t ever meet who find them. It’s a fun game, really. I believe in free press and I believe that art should be pleasurable, even absurd. 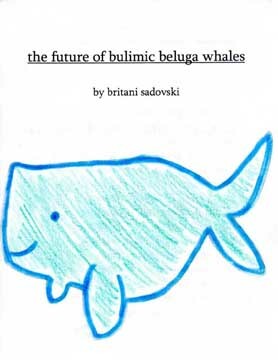 “The Future of Bulimic Beluga Whales” ran from 2006 until 2013, and was distributed throughout Canada, the United States, England, and Turkey, and donated to Zines For Troops! and dozens of university and zine libraries, including ones in Australia and Ukraine. 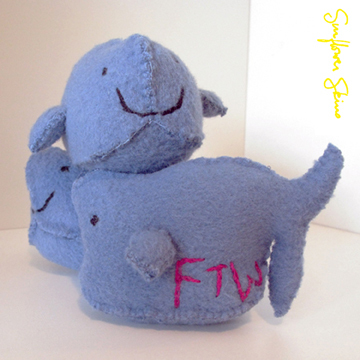 Blub spread around the world!